Are you ready to take your video marketing strategies for social media to the next level? Sophisticated marketers know the impact video has had on social media over the last few years. Heck, it's only been in the last year that we’ve seen several new video tools introduced including Periscope and Blab. In just the past few months, Facebook Live rolled out to all users on both iOS and Android devices. Instagram has even increased the maximum length of videos from 15 seconds to 60. And that's not to mention that Snapchat is hot, hot hot. YouTube seems downright ancient at 11 years old! As a social media professional or entrepreneur -- you know you need to incorporate video into your social media marketing strategy. 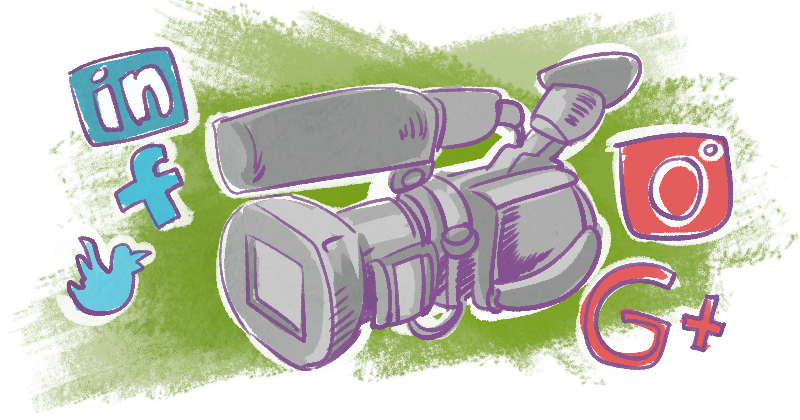 Are you wondering which video platform is best for your business? Do you need some advanced video strategies to help you increase your exposure and reach? These are the things we'll talk about in this post. I'll also show you several examples of how business owners like you are using video on social media. The first question you might be asking yourself is... Does video have a positive impact on my bottom line? Let's start with a few facts to ground you in the reality of using video in your marketing. According to ReelSEO, 82% of surveyed marketers said that their video marketing strategies have had a positive impact on their bottom line. Gary Vaynerchuk built a multimillion-dollar wine business using video. He's an evangelist and continues to use video in all its forms to build his personal and professional brands. Before you create your video plan, let's take a look at the top 7 platforms. 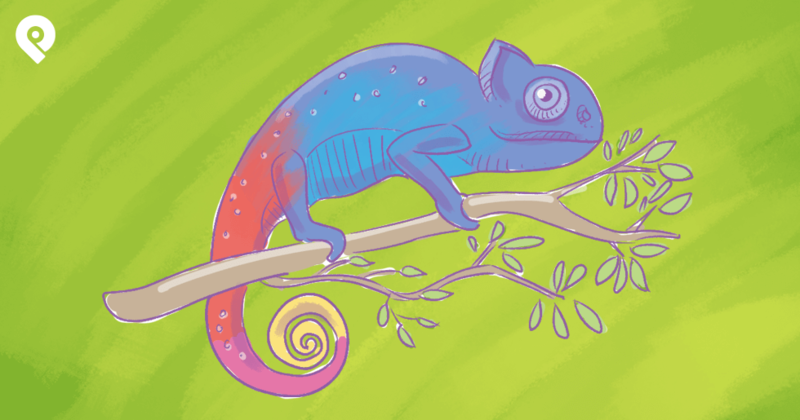 Each video tool has its own unique audience, time constraints and best practices. Once you're armed with this info -- you'll be able to craft the best advanced video marketing strategies for your business. It’s safe to say your business needs to have a YouTube channel. It will serve as a library of your video content. In the not too distant future, YouTube will be launching YouTube Live as a competitor to Facebook Live and Twitter’s Periscope. Now that you have some facts about the most popular video tools, it’s time to look at how you can use the platforms for your business. What’s the purpose and the outcome you want to achieve by using video? Which platforms will help you best achieve your desired outcomes? Which platforms does your audience spend the most time on? What resources do you have to create and share video? Common reasons for using video include brand awareness, training, lead generation and customer support. If you haven’t started using video yet, my best recommendation is to keep it easy in the beginning. You don’t need to invest in expensive video equipment right away. Use a webcam and smartphone to learn the video tools you want to use to kick off your video adventure. Keep in mind you don’t have to use every video platform listed above. If brand awareness is your goal and your audience is on Facebook -- then start experimenting with Facebook Live. If customer support is your primary focus, use video on Twitter to connect with your followers. A direct, personal video response to a customer inquiry is going to make a hugely positive impact. Lead generation lends itself to long-form, interactive video on Blab. Interviews with experts, Q&A, and tutorials to educate your audience all help with brand awareness. They will establish authority and thought leadership. 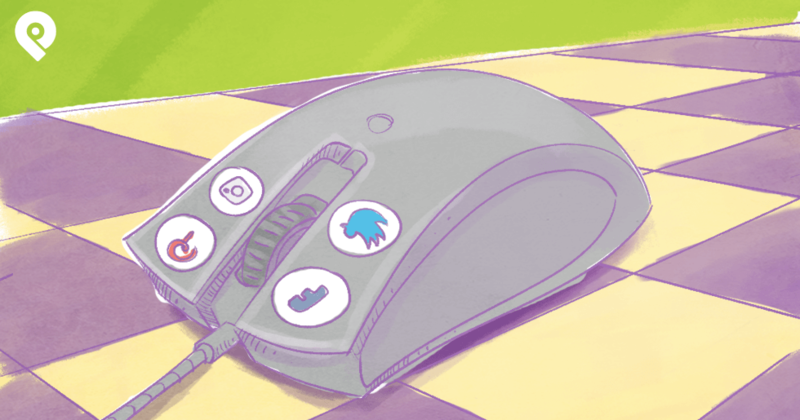 Short-form videos on Instagram and Twitter are perfect for behind the scenes videos, tips, and private messages. Also, Snapchat can help you create more intimate relationships with customers and clients by sharing quick, behind the scenes stories about your business. YouTube is the perfect channel for showcasing your video library. Create playlists to organize your content. You want to get the most bang for your buck when it comes to your video marketing. In order to do that, you'll need to experiment with different techniques to see what kind of video content your audience engages with most. Let's talk about short form video, long form video and how to incorporate your call to action. We'll also discuss how the most savvy video marketers are leveraging their videos on social media. Pro Tip: If you keep your Instagram videos just under 30 seconds, you can cross-promote that video to Twitter, doubling your leverage and increasing your visibility. More on cross-promotion below. Pro Tip: Periscope packs a one-two punch. The integration with Twitter means that when you’re broadcasting, it will be played directly inside tweets. Your viewer doesn’t need to click a link and move to another site. Probably the most important thing to remember when creating your video (or any online marketing piece) is your call to action (CTA). What do you want your viewers to do when they finish watching your video? It’s easy to get caught up in the excitement of creating videos and forget the CTA. Big mistake. Figure out your CTA before you hit the record button. Include it in your talking points so you don’t forget! On Instagram, the only active URL is in your bio, so make sure to refer to it in the post description and in your video. 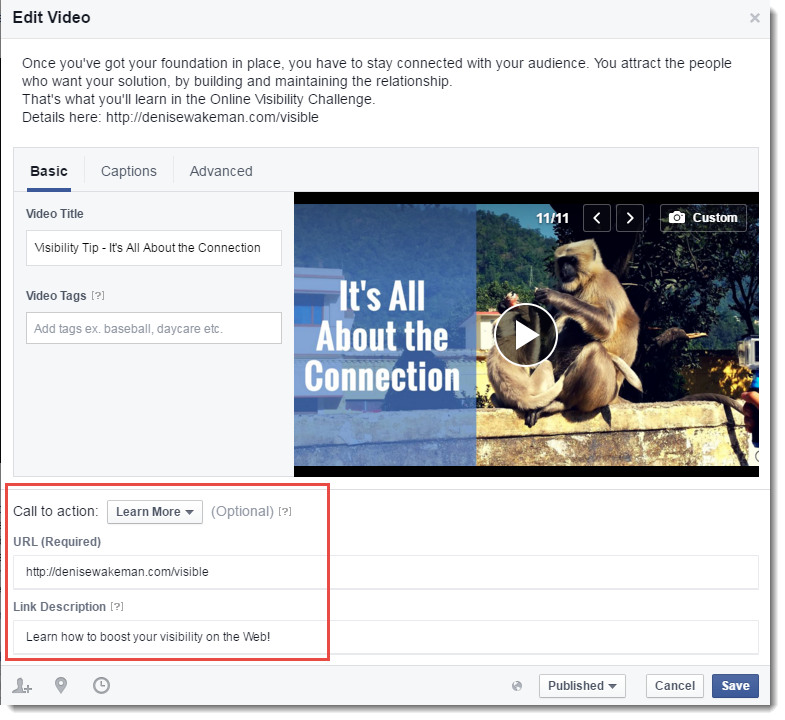 Native videos on Facebook (direct upload) give you the option to add a call to action at the end of the video. Take the time to add a URL and description. For your shows on Blab, sprinkle your CTAs throughout your conversation and at the end of your show. Add links to the chat box so your audience can easily click through at their moment of highest interest. You can also drop the URL to your CTA page into 1 of the 4 open seats on Blab. Then, encourage viewers to click on that box to get the lead magnet you're offering. It's a great way to move people from Blab into your marketing funnel. Ok, you’re convinced that video can make a positive impact on your social media marketing strategy. You have a sense of the types of video you can create for each platform. Now, let’s look at some examples and get your creative juices flowing! Now that you can create 60 second videos on Instagram, you’ve got a lot of room for creativity. Boomerang -- which combines photos into short video loops. In the first example below, Shannon Hernandez (a DJ in Phoenix) created a clever video loop with Boomerang to create a sneak peek at how he does his work. This next example is a time-lapse video of Machu Picchu. Since I've been there, I can attest to the fact it perfectly captures the feeling of the historic Inca site. Both Hyperlapse and Boomerang apps were developed by Instagram. Hyperlapse is only available for iOS. On Android, you can achieve the same effect with Lapse It and Hyperlapse by Microsoft. On Twitter, few people do it better than Gary Vaynerchuk. Watch the 3 minute video below to learn why video on Twitter matters. Gary also demonstrates how easy it is to send a personal response on Twitter. When it comes to training, Kim Garst of Boom Social has mastered the art with Periscope. Her near daily scopes can be viewed within the Periscope app or on Twitter. But Kim doesn't only broadcast on Periscope. In the example below, she’s broadcasting on her Facebook page at the same time with Facebook Live. This allows her to reach her audience where they hang out vs. making people find her on one platform or another. This is a strategy to study and model. Another example of using Facebook Live to connect with your audience is Peg Fitzpatrick’s "Thanks A Latte" on Fridays. She solicits questions from followers on Instagram and Facebook, then jumps on Facebook Live to respond. As her followers discover the live event, they post their questions for the real-time Q&A. Facebook Live also offers a perfect vehicle for promoting your long form live streaming shows (on Blab for example). MaAnna Stephenson of BlogAid uses Facebook Live before every WPBlab show. She invites her audience to join her on Blab. MaAnna’s unscheduled "Ask Me Anything" shows on Blab are the perfect example of how to demonstrate your expertise. MaAnna doesn’t hold back and answers every question her audience has about WordPress, security, SEO, and plugins. She isn't shy about the fact that her Q&A Blabs always result in new clients. The Q&A shows are not recorded. You’ve got to be there live to get valuable, free advice and help. 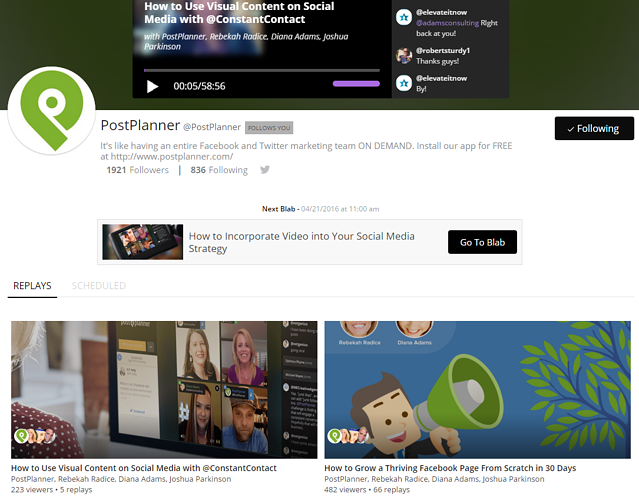 Post Planner has also embraced live video, both on Facebook and Blab. 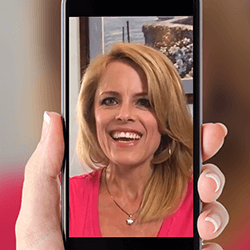 CMO Rebekah Radice recently turned to Facebook Live to give fans an overview of recent Facebook changes. 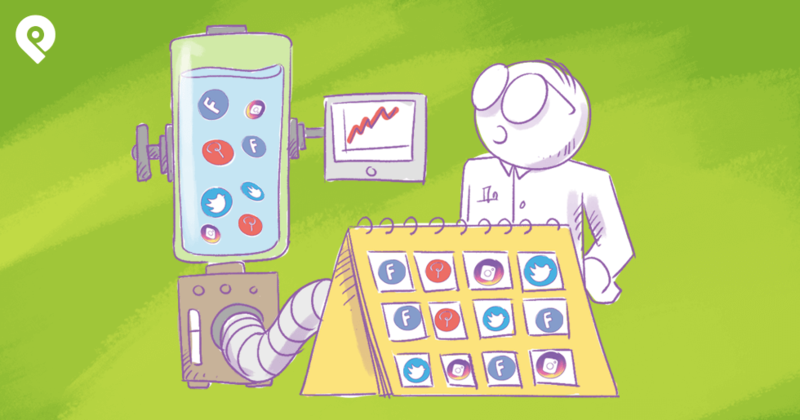 The weekly Post Planner Blabs take on a hot social media marketing topics. They’re informative and fun. There are thousands of businesses using short and long form video to educate, inspire and entertain. Hopefully the few examples I've shared have sparked some ideas for you. One thing I hope you noticed is the extent to which videos can be cross-promoted on multiple platforms. Share your 30 second videos on Instagram to Facebook and Twitter with two taps. Upload your 60 second Twitter videos to YouTube. If your Periscope videos are under 20 minutes, why not upload them on your Facebook page, too? Your recorded shows on Blab can be posted on YouTube. Facebook Live videos can be downloaded and then added to your YouTube Channel. See a theme here? After Google, YouTube is the second largest search engine. Posting your videos on your business channel gives you more visibility and more traffic to your site. It also helps to build your audience. When you spend time creating video content, you want to squeeze as much juice out of it as you can. By cross-promoting and posting, you ensure you’re meeting people where they are. How else can you leverage your videos? Post them on your blog, pin them on Pinterest boards and transcribe them to create content for non-video platforms. Pull a tip from your video and create a new piece of media! Take screenshots from the video to post on social media with a call to action to watch the video. 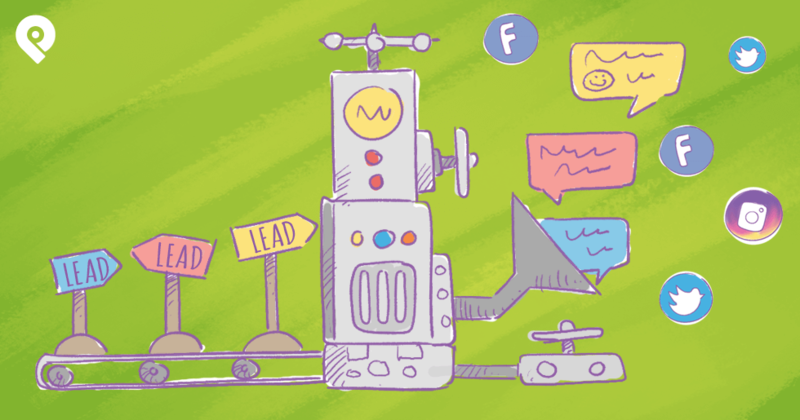 Add videos to your lead generation drip funnels for a more personal experience. The options to repurpose your video content are endless! You’re only limited by your imagination. You’ve got everything you need here to create a plan. Put these advanced video marketing strategies for social media into place for your business. I invite you to dive in and experiment. Test the platforms to find the ones you’re most comfortable using. If you have questions, find the answers. There are thousands of how-to videos and tutorials to help you learn how to become a video marketer. You can learn more by watching Post Planner's recent blab. Live video producer and editor, Marty McPadden, gave expert tips for how to incorporate video into your social media strategy. As Marty talked about in the Blab replay above -- anxiety about being on video can be the biggest obstacle for people who want to begin their video marketing adventure. Whether you're going to jump right into the advanced video marketing strategies we talked about in this post, or you are going to start slow -- the important thing is to get started. There are many ways to ease into the process. Do a private Blab with a friend to get used to the platform. Create a 5 minute Periscope on your personal account while you're taking a walk. Tell your friends you'll be experimenting with Facebook Live and ask them to drop by to say hello. Decide the purpose and outcome you want from your video. Is long form or short form going to serve your audience best? Are you going to use your smartphone or webcam? Relax, turn on the camera and speak. If you don’t like it, delete it. When you’re happy with your video, promote and post it on other platforms. Ask your audience for feedback and ideas for topics. Remember, step by step, one video at a time. You can do this!! Did you like what you read here? Ready to take the next step? Grab your free copy of our 30 Day Facebook Challenge ebook below. You'll learn PRO tips (including video tips) that will help you grow your own thriving page in 30 days!